This story was originally published on January 19, 2009. 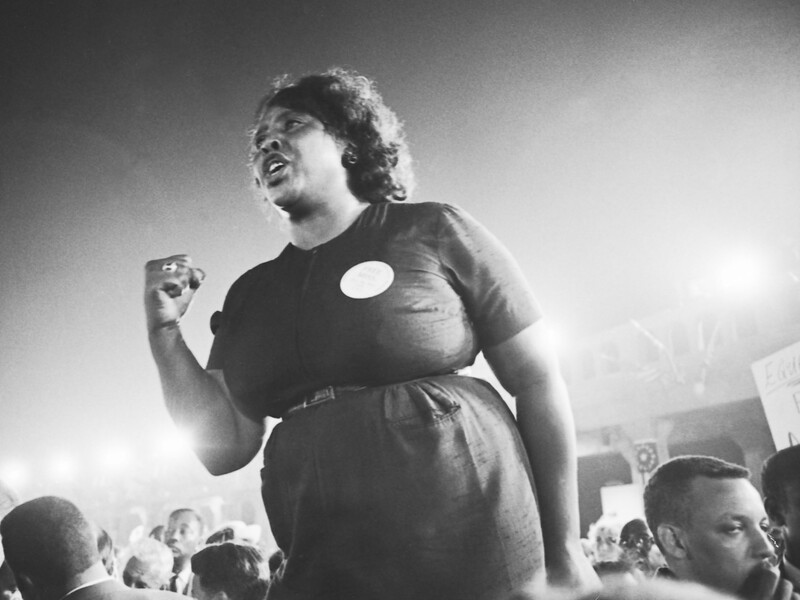 Today our Adventures in Feministory takes us to Fannie Lou Hamer, who like many women activists of the American Civil Rights Movement (and social movements in general), is often overlooked despite her staggering contributions to social change. Fannie Lou Hamer was born into a family of sharecroppers in 1917 and was the youngest of twenty children. From the age of 2, she lived in the Mississippi Delta. She received only six years of formal education. In 1962, Hamer attended a meeting of the Student Nonviolent Coordinating Committee (SNCC), and instantly became interested in civil rights, specifically voting rights. Numerous challenges were set up to keep Black people from voting in Mississippi, including written tests and poll taxes. 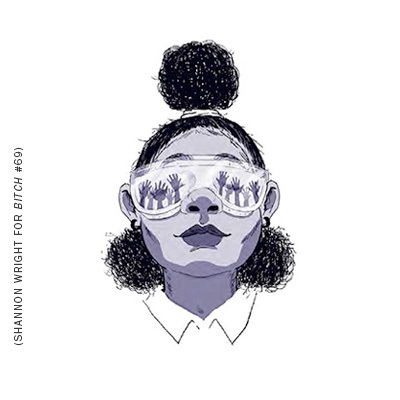 She immediately made efforts to register to vote (along with other activists) and of course immediately faced police brutality, racist harassment, and unemployment. After attempting to register three times, Fannie joined others on a bus ride to a voter registration workshop in Charleston in 1963. Their bus was stopped arbitrarily and everyone was arrested and taken to a remote county jail where they were subjected to severe and inhumane beatings. Hamer eventually did register to vote, and also became a SNCC field secretary. The Mississippi Oral History Program of the University of Southern Mississippi met with Hamer in 1972, and to read Hamer’s own words on her life and times, check out the transcript here. Also visit your library or local independent bookstore to check out Kay Mills’s This Little Light of Mine: the Life of Fannie Lou Hamer and Women in the Civil Rights Movement: Trailblazers and Torchbearers, 1941-1965 by Vicki Crawford, Jacqueline Rouse, and Barbara Woodsand for more information on Fannie Lou Hamer and other often overlooked women of the Civil Rights Movement. I learned about her in church this weekend! Our interim pastor was her neighbor when he was volunteering in MS in '68. He put together a really nice sermon about how far we have come and how far we have to go. He mentioned her, and showed a video clip of her speech at the '64 DNC. It was amazing. She was amazing. She makes me proud to say I'm from the Mississippi Delta. Thank you, Fannie!